In the late 90's a series of unofficial Dark Sun Netprojects were created on the Dark Sun mailing list. This list of Athasian Armor is one such project. 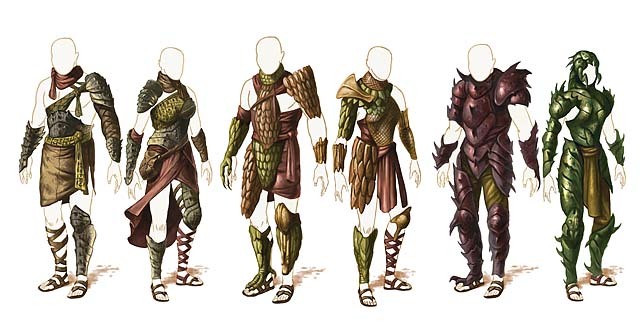 The multitude of second edition stats for armor allowed a variance of each type of armor made from different Athasian creatures, creating a rich, detailed setting. Any Armor Types that are bolded are either metal or the user is affected by the heat as if it were metal. The Dex Adj column is the adjustment to the wearer's Dexterity score with regards to Reaction Adjustments and Defense Adjustments.